There really are not enough words to describe how much I loved reading this book. I have really been struggling with reading lately and the minute I started reading this book, it pulled me in and I was totally unable to put it down. I was transported to Italy with this book, and the way that they country was described really made me want hop on a plane and head out there. 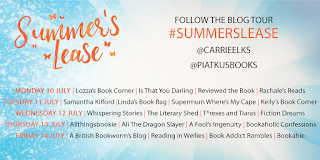 Even on the dullest of days here, Summer's Lease brought some sunshine into my life. The story is like a huge hug and I adored every single page of it. Even though this is light hearted read, it did have some serious moments, which really added to the story and gave it an air of mystery. 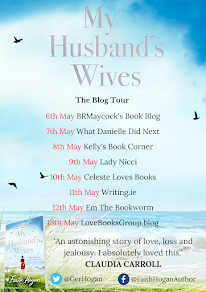 I loved Cesca and Sam, they were both brilliantly written characters and I really enjoyed getting to know them and learn their stories. 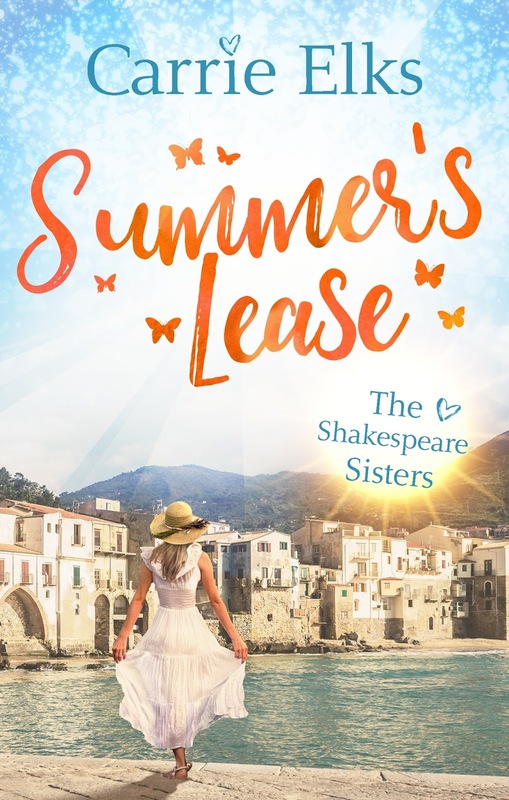 I was delighted to find out that this is the first book in a series that will follow the Shakespeare sisters because there is no way that I would be able to leave the story there! I am so looking forward to getting my hands on the other books in the series as soon as they come out and get to know Cesca's sisters. 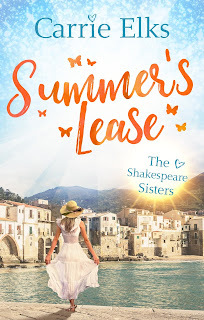 Summer's Lease is the perfect Summer read, that will transport you to sunny Italy and keep you thoroughly entertained throughout, I can't recommend that you read this book enough. It has everything that I look for in a book and left me with a huge smile on my face. 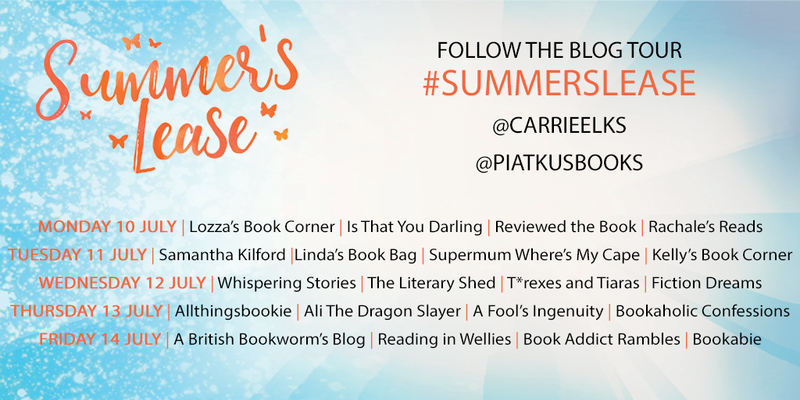 Carrie Elks is very quickly becoming one of my very favourite authors and I can't wait to read more from her!